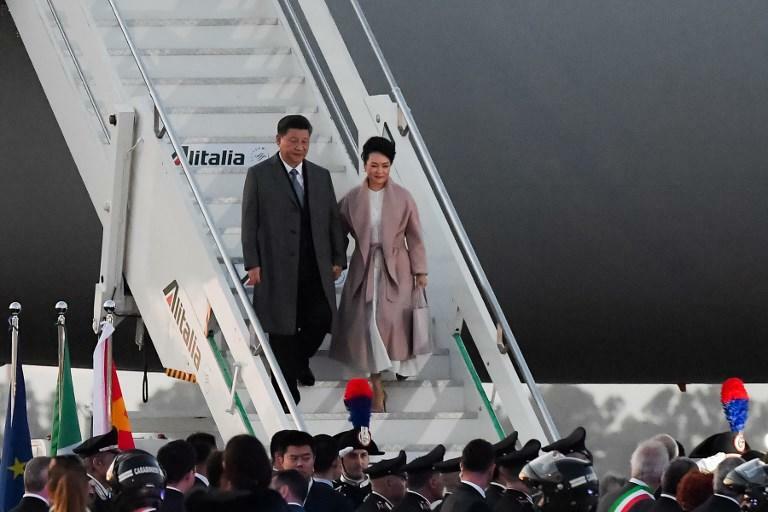 Pizza Margherita is globally known as the taste of Italy and Chinese president Xi wants a slice. Italian PM Conte still look set to sign a deal that sees Italy join the One Belt One Road initiative during Xi’s European visit. In the meantime Italy’s peers are growing concerned that China is using the country as a platform to increase its grip on the West. France has warned against this, and even the US is getting uncomfortable at the idea. Even one part of the Italian coalition, Northern League’s Salvini, is calling OBOR an attempt to ‘colonise Italy’. But Germany doesn’t seem ready or willing to extend Italy’s government a more attractive proposition. They are still too preoccupied with budget rules and ensuring the European books are balanced. In fact, the CDU/CSU is pushing for stricter adherence to Europe’s excessive deficit procedures, making it easier to penalise those countries that exceed the debt and deficit limits agreed in the stability and growth pact. Additionally, Reuters reports that their plans include removing the “risk free” designation that is currently automatically granted to government bonds. Clearly then, such proposals from the German conservatives may fail to keep Italy away from China, with the ultimate risk that this could eventually result in Europe fracturing into a pro-US and a China-minded group. On a shorter horizon it would surely increase division in Europe on topics like sanctions against China, such as the Franco-German proposals to limit the ability of Chinese companies to procure government contracts as long as European businesses aren’t able to bid on these in China. And Europe’s unity is already being tested by Brexit. For the most part, the remaining 27 have managed to speak in unison pretty consistently. However, yesterday’s meeting about an extension of the Brexit deadline revealed that Europe is in essence still a pizza quattro stagioni, with various blocs of countries each wanting a different new deadline. The French had been pushing for a very strict one, while a group of countries with strong trade ties campaigned for a longer delay. The heads of state ultimately managed to compromise as they usually do, but this obvious disagreement surely must leave the US, Russia, and China wondering whether the European pizza is ultimately served as a whole, or whether the continent can also be ordered in slices. Markets, meanwhile, shrugged off the Brexit risk once more. Sterling recovered to 1.131 after sinking to GBP/USD 1.30 ahead of the European summit yesterday. And in the US, too, sensitivity to risks appears to have declined since Wednesday’s Fed meeting. The S&P 500 gained a solid 1.1% yesterday after the FOMC’s about-turn sedated markets once more. No one seems to be second guessing why the FOMC members cut their predictions more radically than they usually do. To me, that doesn’t inspire too much confidence.